FreestyleMax is legendary amongst snowboard instructors in 3 continents. If you’re looking for what the pros use, look no further. It’s right here. The Australian, Canadian and Austrian Snowboard Instructor bodies recommend FreestyleMax. He’s appeared in snowboard training manuals; demonstrations for the Olympics; snowboard magazines; and most importantly he’s on the slopes training you. We guarantee FreestyleMax can move like a human being on a snowboard. This ensures a meaningful demonstration is given. If you are still learning new tricks, then you will benefit from FreestyleMax’s exclusive instructional dvd. This is accessed only by customers who have purchased the figurine and been given the code to enter the members section. There you will be shown freestyle tricks from a backside 180 to rails and more advanced tricks. Freestyle it to the Max! No other snowboard teaching tool offers you all these benefits. Expect fast delivery within 10-12 business days of ordering on this website. FreestyleMax has been delivering all over the world for the last 5 years and customers keep coming back. For more great testimonials about FreestyleMax please click here. You can choose from 3 different styles. All 3 styles have the same anatomical movement however the black jacket figurine is set up with a regular stance (the other two are set up goofy). The later models (green and black jacket) allow for one footed demos making it look even cooler. The FreestyleMax Snowboard Instructor measures 13.9cm (6 inches) in height and is realistic to scale with the snowboard. It's compact enough to put it in your snowboard jacket. It's cool enough to whip out anytime. Experience the FreestyleMax Snowboard Instructor today and Play the Game. The Snowboard Instructor is ready for on line purchasing now through our shopping cart (click here). FreestyleMax is an Australian company so stock is dispatched from Sydney. We do however ship to anywhere in the world. FreestyleMax has sent heaps of orders to America, Canada and Europe. FreestyleMax the Snowboard Instructor is A$33.00 (includes GST) for Australians and A$30 for overseas customers (as there is no Australian GST payable for overseas customers). If you want to check what the price will be in your currency try our Currency Converter. 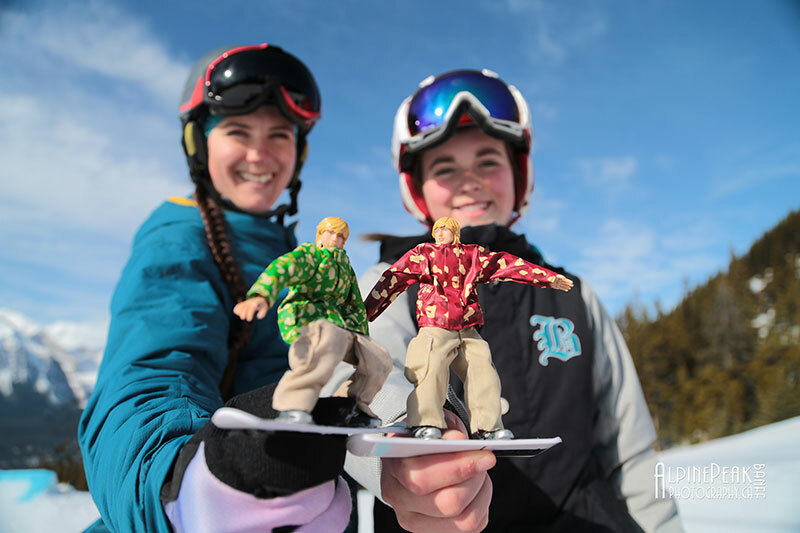 For customers willing to purchase more than one Snowboard Instructor when placing an order, we offer a 10% discount on the second Snowboard Instructor and 15% off the third Snowboard Instructor. However you have to place these orders at the same time. The shop card automatically calculates the discount for you. Overseas customers please note your credit card will be charged in Australian dollars so please contact your local credit card company if you are uncertain about the exchange rate. Online orders will be processed for dispatch from Sydney at the end of each week.